I’m always thrilled when someone asks me to do this design- it’s one of my faves. 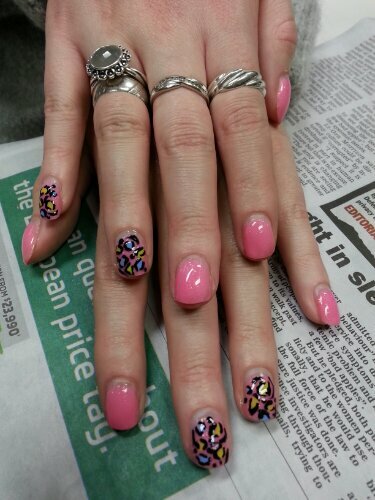 Multi-coloured leopard print on a jelly pink base. Thanks! Great fun to do.